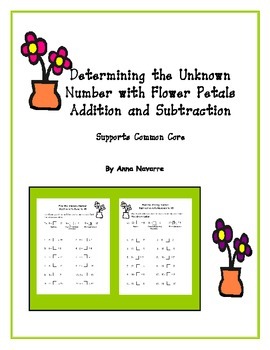 Determining the Unknown Number with Flower Petals is a resource that I created to support the learning of this Common Core math standard. I also created it to provide students with a strategy that would help them to build understanding. 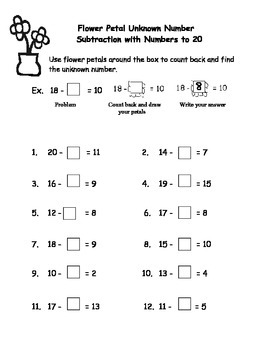 Students draw flower petals around the unknown number box to help them count up for addition and back for subtraction to find the unknown number. 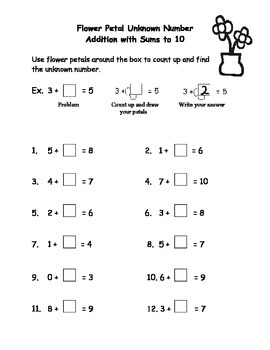 This 6 page set includes 3 addtion and 3 subtraction practice sheets.